King Clone Creosote, however, is another story. The King was identified and estimated to be 11,700 years old by Frank Vasek, a professor at the University of California, Riverside. The seemingly ‘individual’ bushes that make up the King’s ring are direct offshoots, or clones of a single plant. As the original central bush died, its root system spread out and grew new plants; as the bush gets older the ring gets larger, resulting in the 70-foot diameter ring known as King Clone. 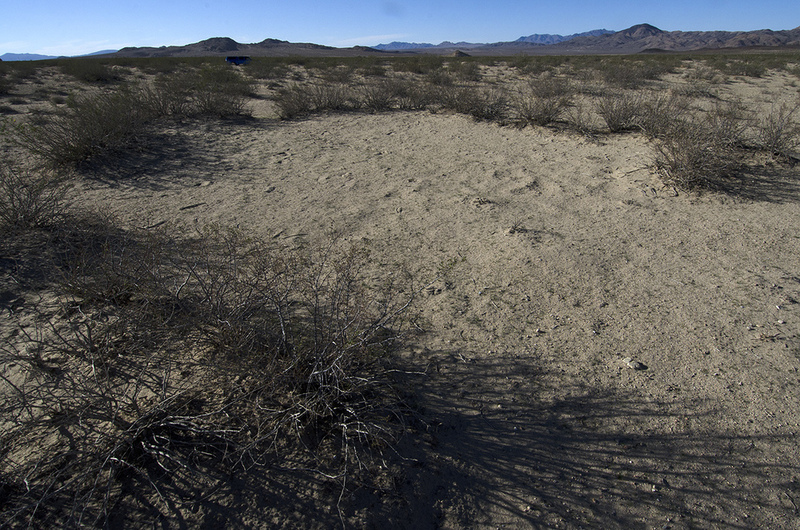 Vasek and his colleagues believe that King Clone was one of the first life forms to colonize the Mojave Desert after the glaciers receded from the area, and that it has been a continuous resident there ever since. 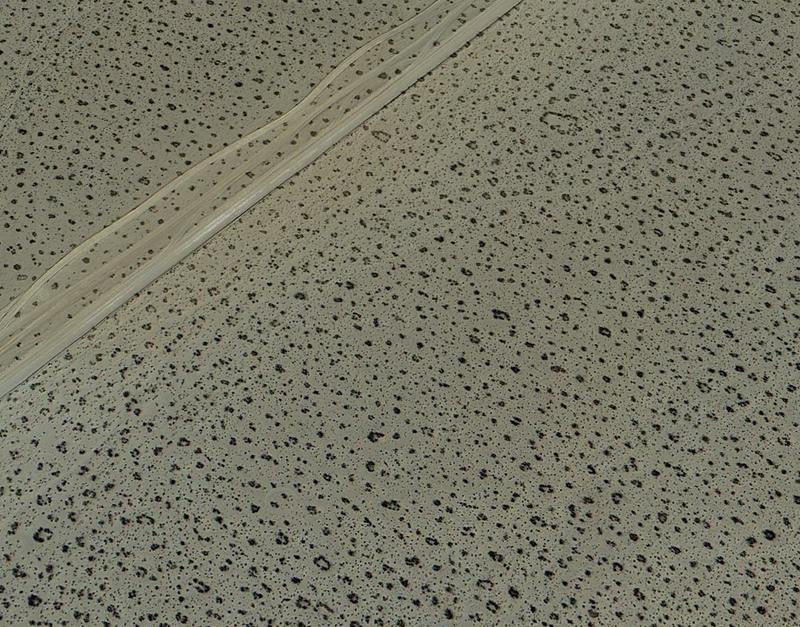 The King is not alone in the Mojave; an aerial view of the area known by a few as the Creosote Rings Preserve and by many others as the Johnson Valley Off-Road Vehicle Recreation Area, will show numerous creosote rings in the area. Luckily for the King and his court, the area is restricted-access public land. It’s fenced off so the off-roaders don’t unknowingly destroy these ancient plants. The rock pile marking a good place to stop. From California Route 247, I turned onto Bessemer Mine Road and headed northeast for a short distance. After passing “telephone pole road,” I soon noticed a three strand barbed-wire fence on my right, which I guessed was the protected home of the King. I almost stopped to get out and begin searching, but I noticed a small pile of rocks against one of the fence posts a little farther ahead. I parked at the cairn and slipped through the fence; there was no sign saying I couldn't. A small creosote ring near the fence. I soon spotted a creosote ring, but it didn't seem big enough to be the King and I wondered, how would I be able to find the right ring amidst a desert full of creosote bushes? I felt I was near the right spot because of the rock pile by the road, but the desert is a big place. A thought struck me (it does happen); I pulled out my cellphone and called up my Munzee App. I went to the map and hit the satellite option and zoomed in. There I was (the blue dot), near a small ring. And just a short distance away, was a huge ring. I had found the King. I imagine he looks a bit more impressive after periods of rain, but even in the summer, he was a regal sight to behold.